After 7pm Monday - Friday you can park on the streets. Also there is a parking garage 50 feet from the restaurant on south william street. Inquire about our great team building events including our legendary Iron Chef Competition, Vintage Dinners, Hands on Cooking Classes, "Art" Tastings and a variety of special events for groups. Our accomplished chefs can bring the same terrific cuisine to your office or location of your choice, serving from 5 to 2000. We offer full service off premise catering complete with menu design, decor, entertainment and staffing at your home, gallery, museum or any other tristate location. Delmonico's began as the first restaurant in the United States and has had a profound impact on American dining tradition. Our setting is where nearly two centuries of notable poets, affluent socialites, celebrities and presidents have celebrated in the splendor that is Delmonico's. Delmonico's welcomes Executive Chef Bill Oliva our kitchen. 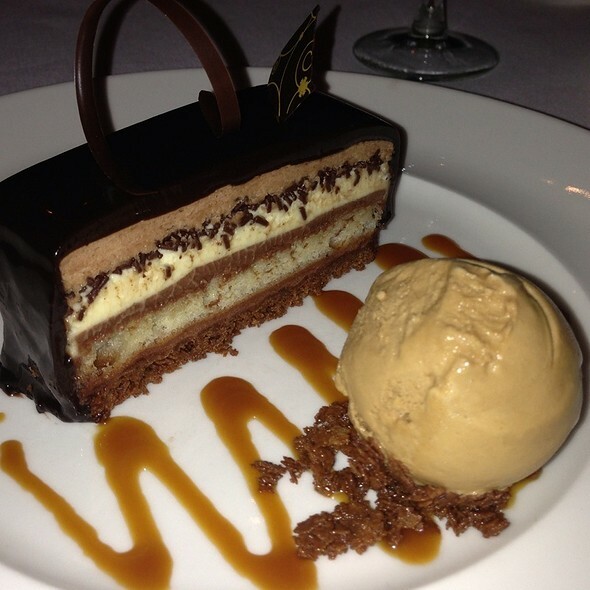 While preserving the classic dishes such as Lobster Newburg, Delmonico's Steak and Baked Alaska, Bill brings a level of culinary sophistication to Delmonico's with his addition of creative seafood offerings and other inventive dishes. Business casual attire is suggested (a jacket and tie are not required). We kindly request that gentleman refrain from wearing hats, shorts, sleeveless shirts and flip flops in the main dining room. Excellent steak and sides. Wine paired well and cocktails mixed nicely. Service was very attentive and friendly. A wonderful date night, but we also saw many families. Noise level was moderate to high, but we were able to converse. I would recommend the New York Strip and Delmonico potatoes. Food was excellent, service was good. The only down side was we want to have a drink at the bar before dinner and the patrons where so loud it was hard hear each other. The food was great! Premium steak and great service! Beautiful restaurant and delicious food! Doesn't live up to it's name. 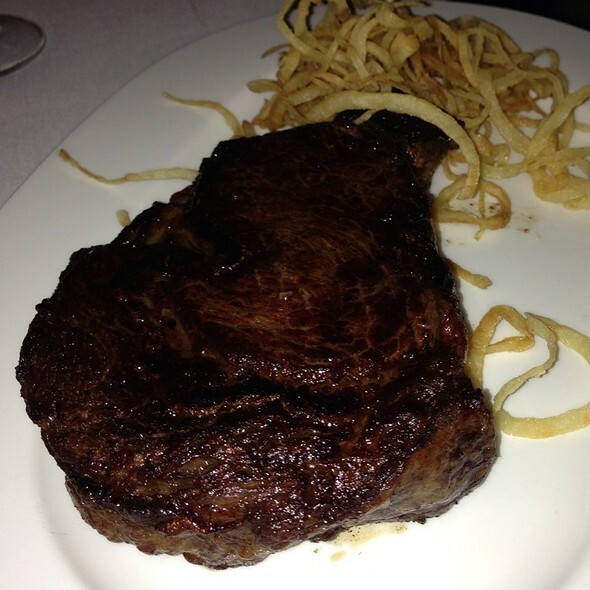 The Delmonico steak I ordered was tough! My server explain that the ribeye came muscle that do a lot of work and it's not supposed to be tender. Can't agree with this at all. Any good quality ribeye cooked medium rare should not be this tough. It tasted just average. The mushroom and wine I ordered was good but I didn't come here for mushroom and wine. The retro ambience was nice though. Delmonico’s was delicious! We are traveling from out of town and this was a must go to in my eyes. It was delicious. I enjoy the smaller dining area toward the entrance better. I will request a table there next time. The noise level is less and the service seems better. Food and service was top notch. It's THE Delmonico's after all. Worth taking the trip all the way there to experience it! Absolutely wonderful! Enjoyed everything! 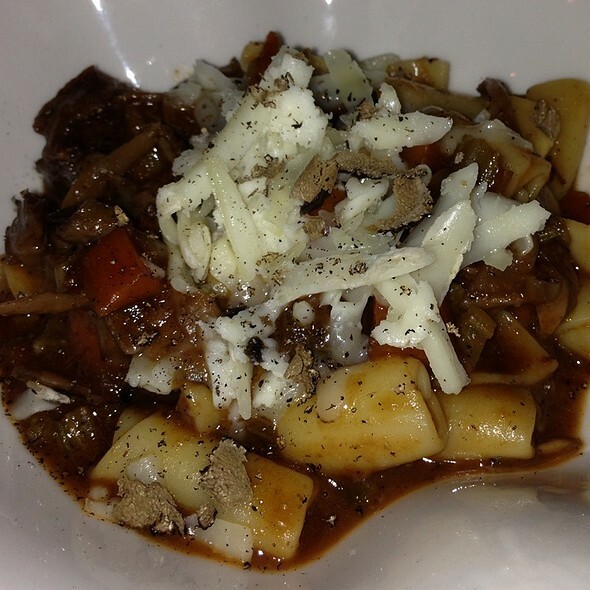 The entire staff were extremely friendly and accommodating! The Porterhouse was the real deal! Perfectly aged, perfectly cooked!! Came to dinner with family and ordered ribeyes, fois gras, ravioli, filet, etc. It was great and wasn't crowded like in midtown area. Service was great. Would recommend. Terrific Timeless Treat! Well, they've been around since the 1800's. A "Late Night Luxury!" The beef was expected to be excellent and, honestly, it did not disappoint. Cooked to perfection. The vegetable sides were delicious too. 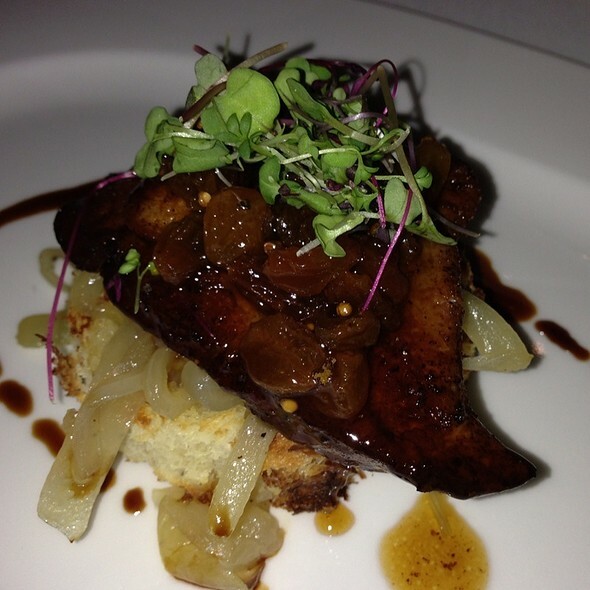 If you are in Lower Manhattan, you have to try Delmonico's! You will be so glad you did! Delmonicos has been on my list forever. I finally got to go & it was worth it!!! From soup to nuts it was amazing!!!! 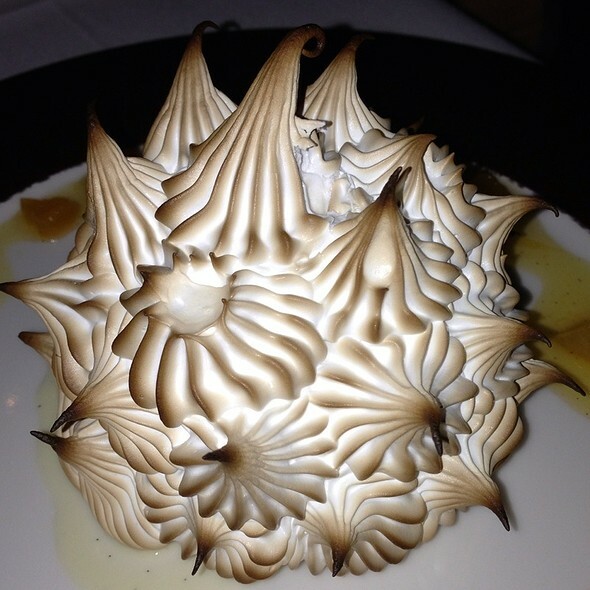 And the baked Alaska is to die for!!!! They even had a piece of dark chocolate w/happy birthday on it & a candle for me!!!! There's a reason that some restaurants stand out and have a decades-long reputation. Delmonico's doesn't disappoint and their signature items - the Delmonico steak and Baked Alaska - are well done and flavorful. They also have an extensive wine selection, but note that it's likely to be cheaper to buy the bottle than by the glass if you're with a group. I would recommend the food. We were seated in the lower dining room while there was a private event upstairs. I would not book here again knowing that I would be in that seating area. It was far too packed and loud to be worth the price tag on the meals. The overall experience was amazing. The food was perfect and the service was top notch. We will definitely be back again. It was the best steak house I've been to. 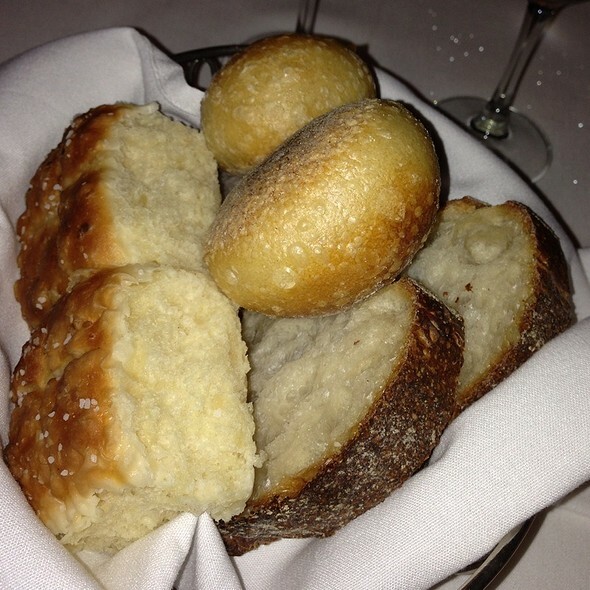 Better than capital grille, Ruth Chris, Morton's or prime 112 in south beach. Expensive, but worth it. 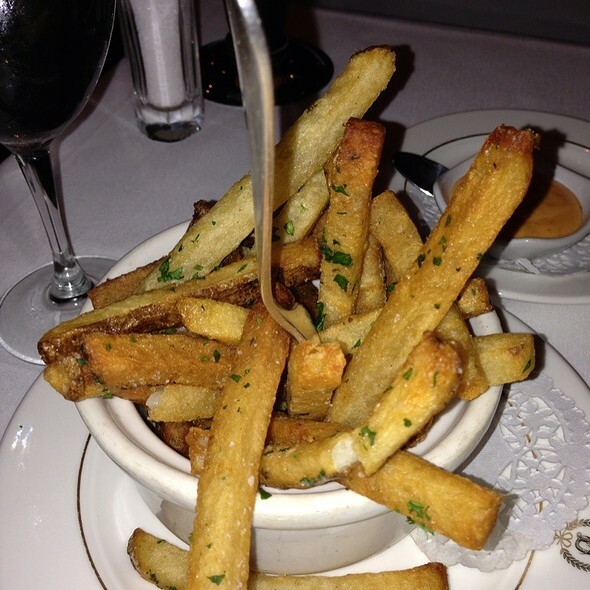 Order Delmonico's potatoes. They could serve wonderful food and tasty. Baked Alaska is delicious desert. The paintings on the walls are nice and enjoyable. There are many friendly people working at this Restaurant. 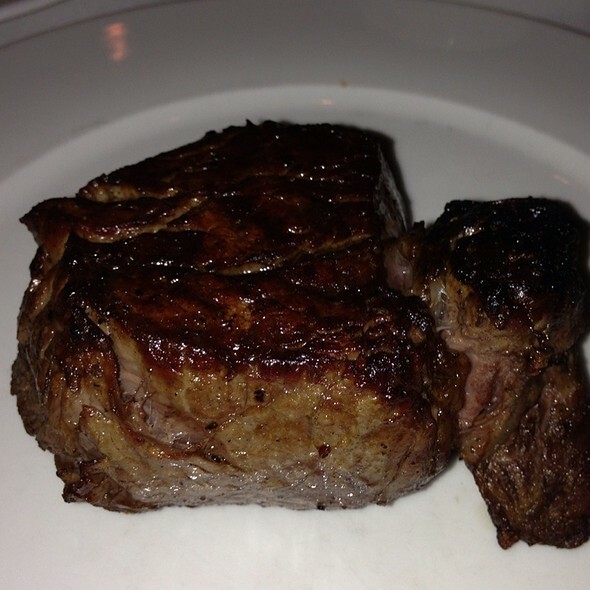 Classic NYC steakhouse... consistently good food and no surprises. Everything was good but not great. Wine list was very overpriced. Three times what you would pay at the store for some wines. Unfortunately I cannot recommend the restaurant. Everything was great until we received the main course. Porterhouse for 2. Steak arrived warm to cold and the meat was extremely tough and chewy. When the waiter asked how everything was I told him what I thought of the steak and he was quite apologetic and offered to replace it. I explained that I never send food back and it should of been done correctly the first time. This was not a case of the dish being over or under cooked but rather a bad cut of meat. All appetizers and side dishes were perfection. But this is a steak house and we came for the steak, it should never have been served. They took half of the entire bill off at the end so you need to give them credit for that. I told him t was not necessary as I would not be returning. There are plenty of high end steakhouses in the city, not worth the risk of it happening again. Love this place!!! Atmosphere is amazing and the food is too! So I love this place. I really do. The old-school feel of the place is so fitting for NYC, and the steaks are among the best in the city (and might actually be the best in the city). My only observation is that they tend to undercook the steak, and after coming here a few times I've learned to request one temperature grade higher than I normally would. So if I want "medium rare" the way I'm used to it, I have to order my steak "medium". If I actually order "medium rare", the steak is really undercooked for my liking. Now that I know this, I can get what I want when I dine here. BTW, I should also say that the sides and desserts are also excellent. 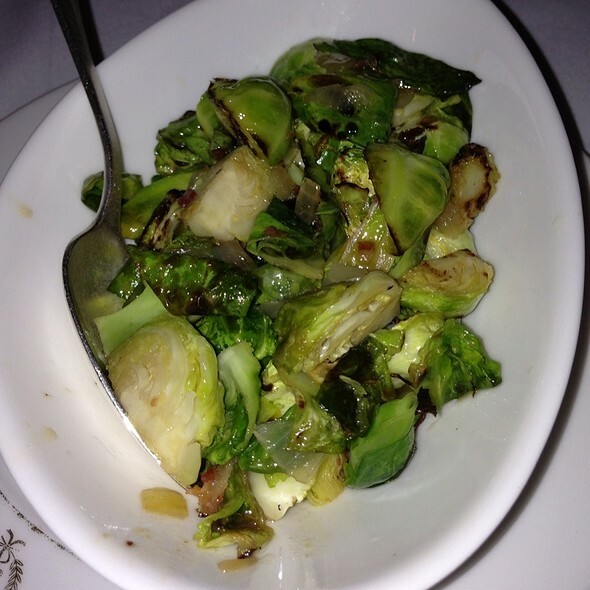 Their buttery mashed potatoes are awesome, and so are the brussels sprouts. Service very average. Had to ask several times to get my sauce that they charged $7 each. They do not live up to their reputation. Really the service kills the experience or they charge too much for the quality they can deliver. First time to NY and wanted the experience. Well worth it! The ambiance was great, you could feel the history of the place. The service was great, the steak was great, the sides were ok, but plentiful. We would definitely go back. Amazing, they allowed us to sit even though half our party was running late due to the traffic of St. Patrick's Day. Also, we were so caught up drinking and having a good time we didn't realize the time they were nice enough to give us dessert even an hour after the kitchen had closed. Amazing Birthday thank you! Very good experience. I’m glad we picked Delmonico’s for our occasion. Always excellent. A couple times had to send the steak back because too rare, but otherwise very good. Overall, the salty taste was strong. And it was not Medium Weldon which I often eaten, but Weldon itself. It was hard to eat. Mashed potatoes had no taste, probably made with water. They kept on filling our water glass with Pellegrino, unnecessary!! Excellent food and service but expect to pay for it. This is, after all, New York City.